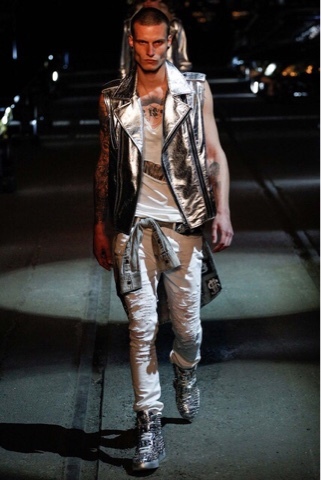 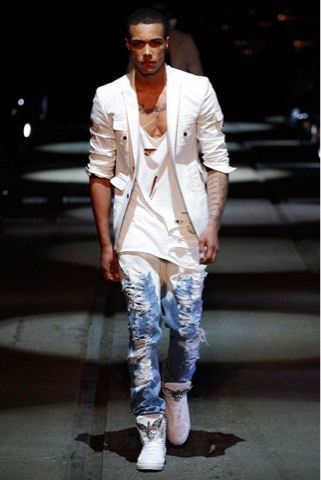 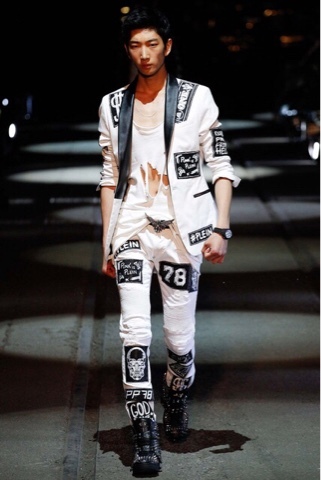 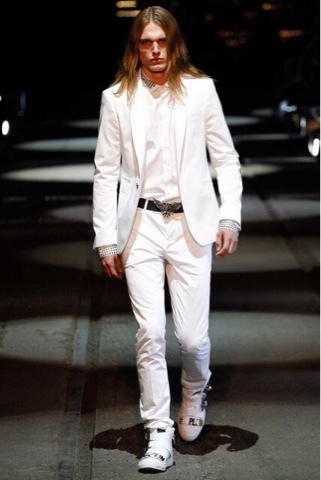 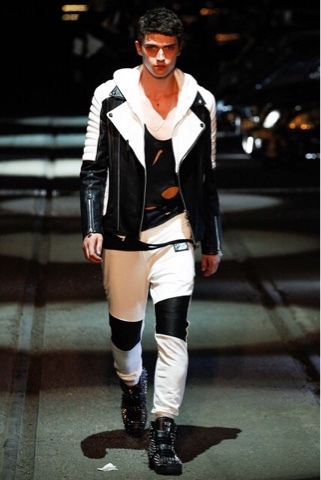 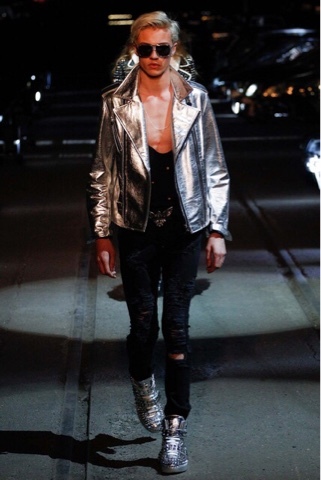 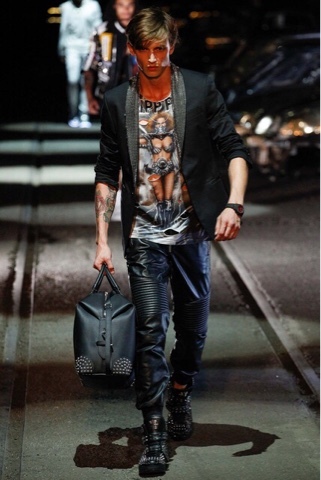 At the Philipp Plein show the theme was Mad Max. 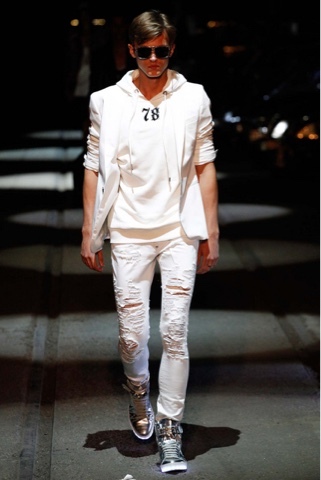 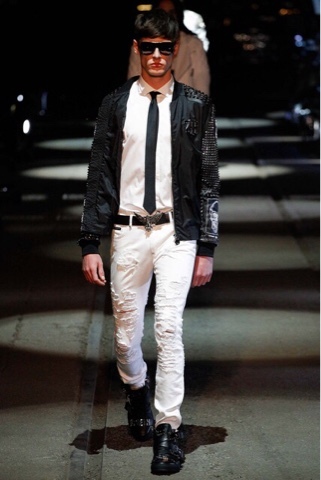 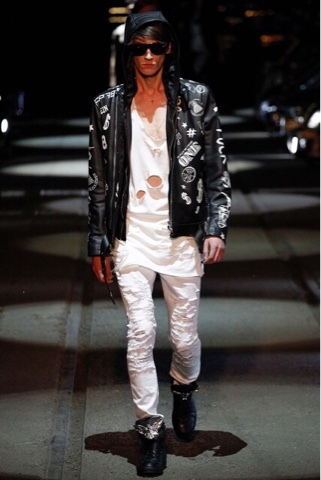 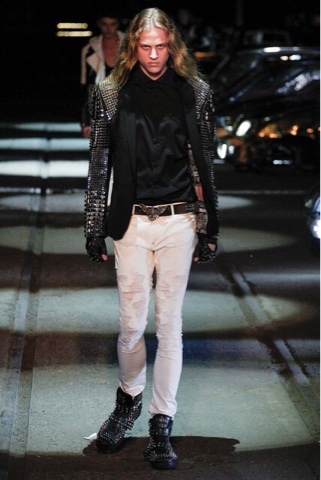 From the actually runway show to the studs, leather, and holey t-shirts it was definitely rocker meets streetwear. 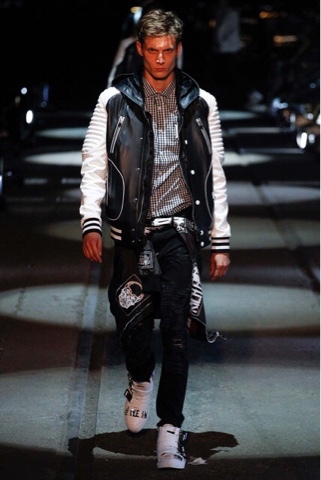 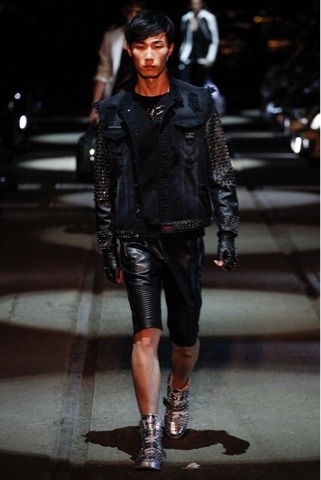 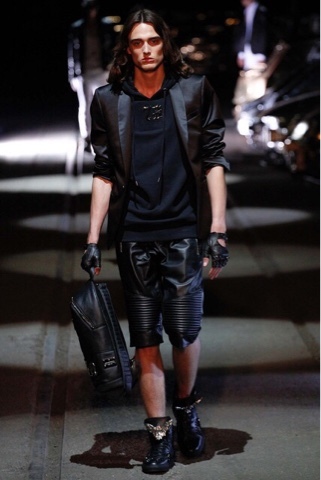 I loved all the biker jackets, moto jackets and the fitted leather shorts. 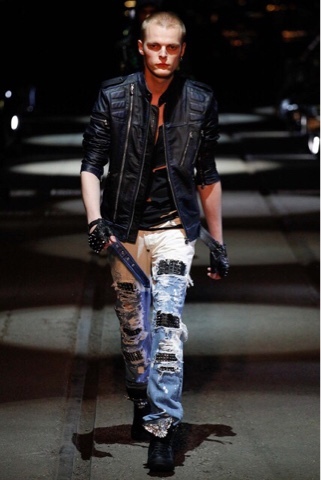 The t-shirts with the rips and holes were cool too which I have actually worn in my 'Denim Vest' ootd. 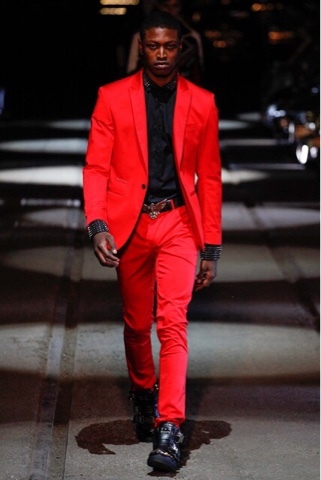 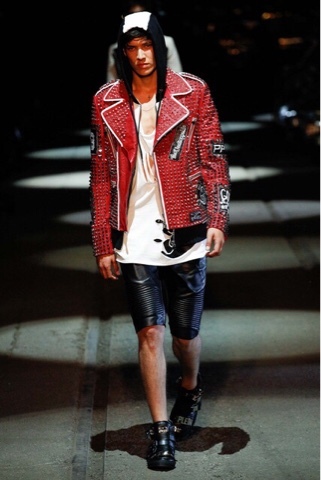 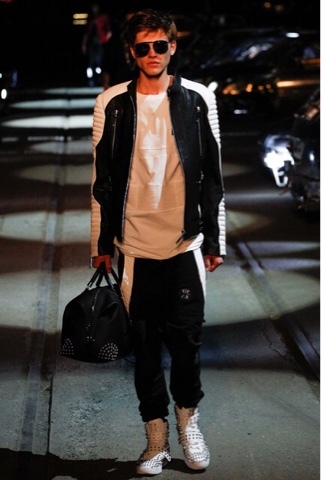 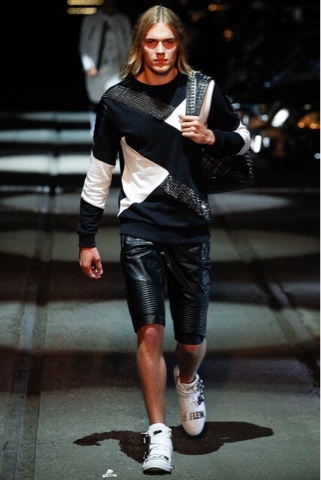 Philipp Plein is also keeping with a common theme at MFW using red, black and white as their color scheme. 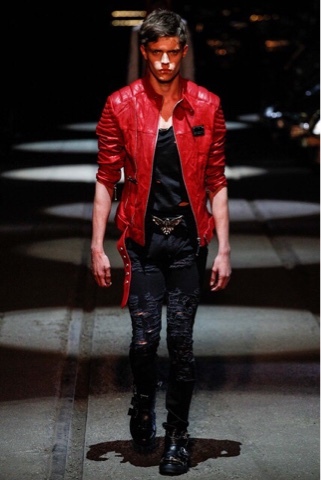 A few of my favorite pieces were the metallic biker jacket, the red suit, and the blazer withe the studded sleeves. 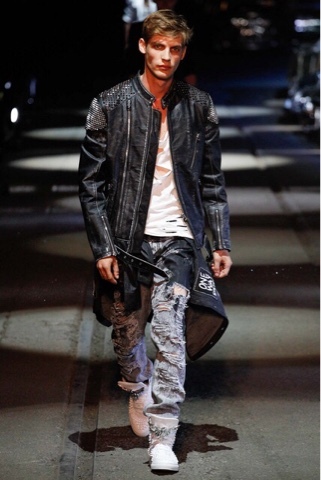 Check below for the video of the show.